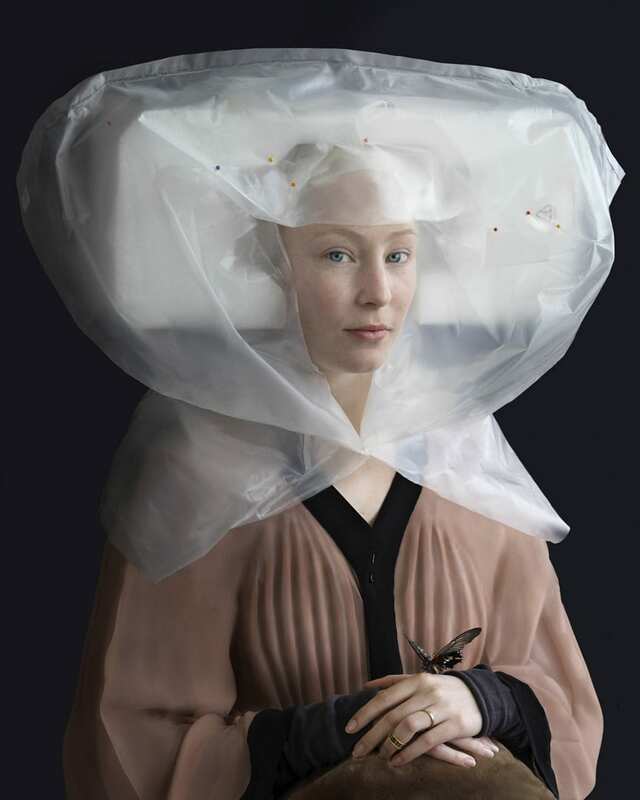 Suzanne Jongmans Uses Waste Materials to Recreate Dutch Portraits. 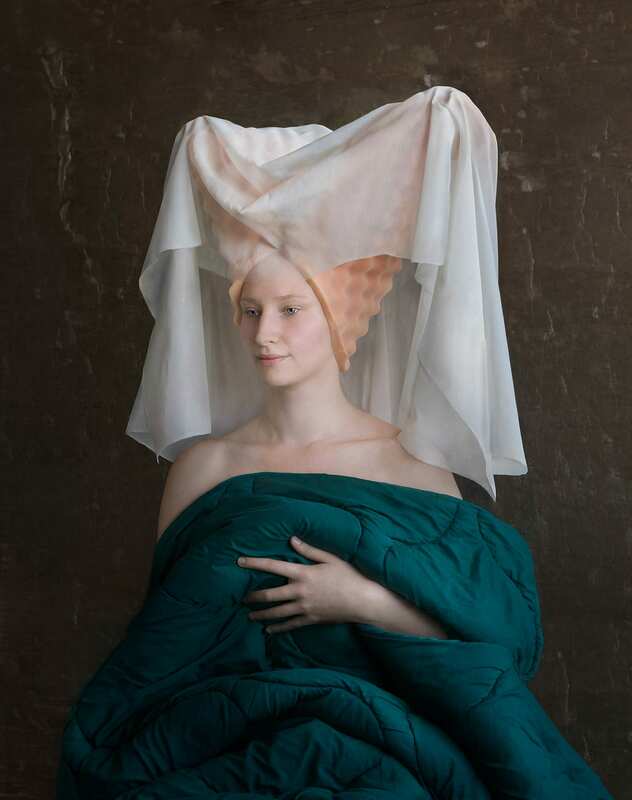 Suzanne Jongmans takes her inspiration from the old Dutch masters, the painters of the past, specifically focusing on the 15th, 16th and 17th century. 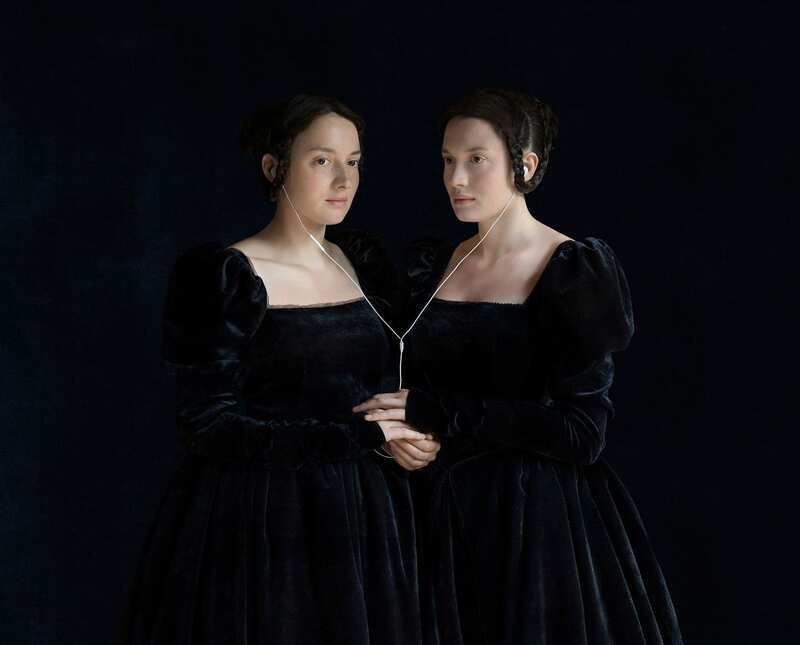 Rembrandt, Holbein the Younger and Rogier van der Weyden; you’ll find references to all of them in her unorthodox interpretation of their work. Unorthodox not because they are not classically beautiful, but rather because of the means she uses in order to recreate them. Photographed across two collections, Mind Over Matter and Kindred Spirits, Jongmans’ skill as sculptor, creator and photographer are evident. 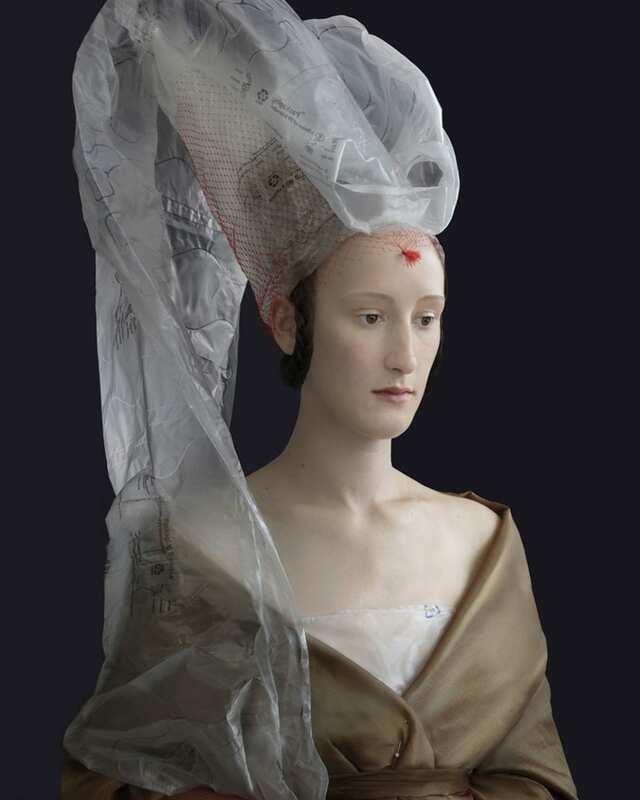 Her work has all the hallmarks of the old masters, – pale alabaster skin, serene almost angelic expressions, understated romance, piousness and grace. 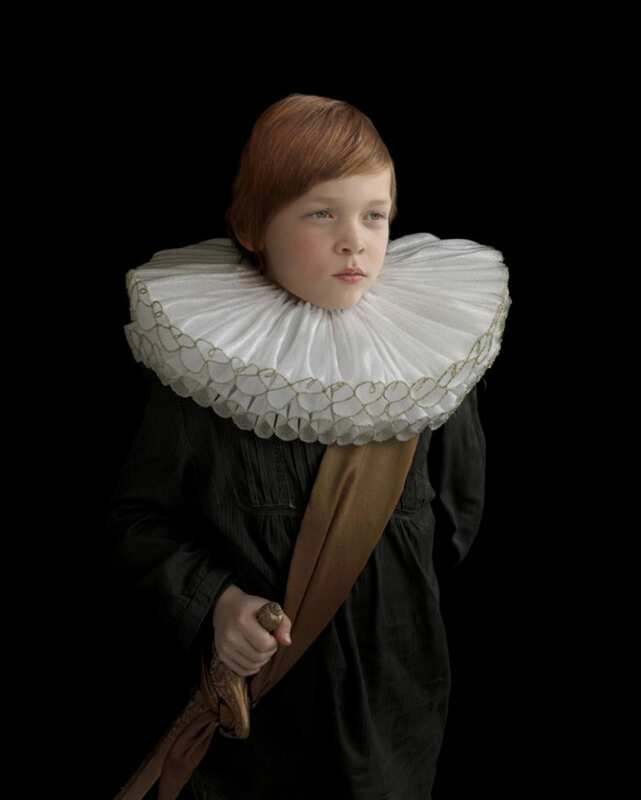 It is as though her photographs have captured the classical painters perfectly, bar one element. Her subjects are all dressed in recycled packaging. 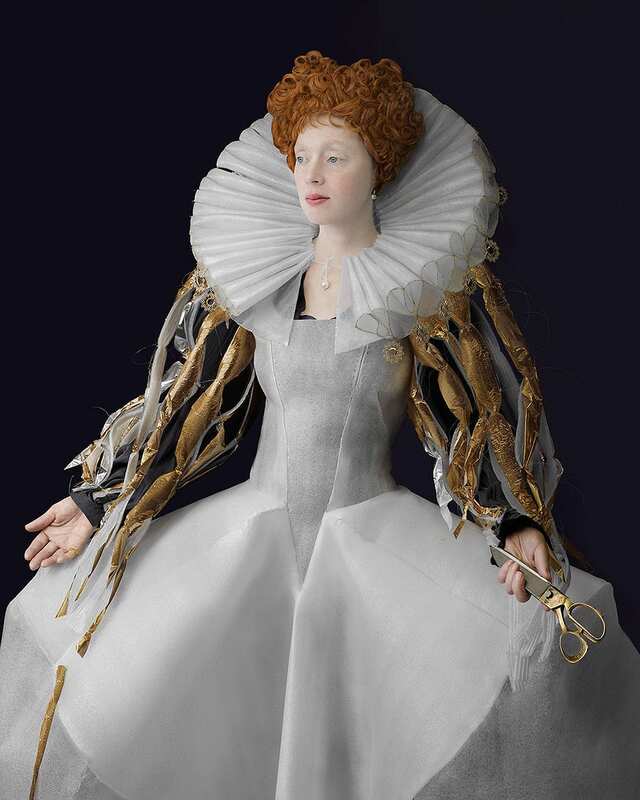 Her Renaissance subjects are adorned with styrofoam, plastic sheets and swaths of oh-so-poppable bubble wrap. It’s her keen eye and attention to detail that makes her work quite remarkable. 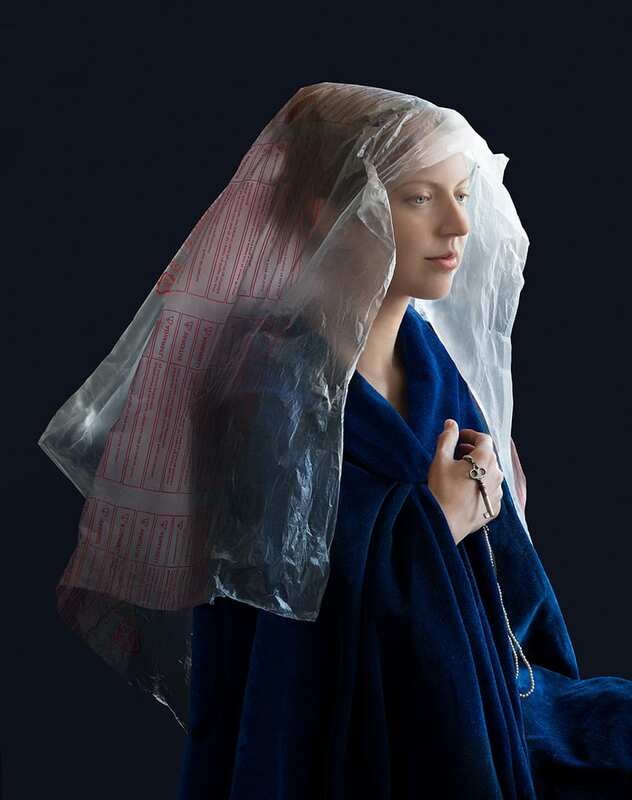 Whilst on first inspection it appears you are looking at a sheer veil draped upon a young woman’s head, further investigation reveals it is, in fact, a plastic packaging sheet, with letters and symbols on the material. Jongmans embraces the idea of making something out of nothing. 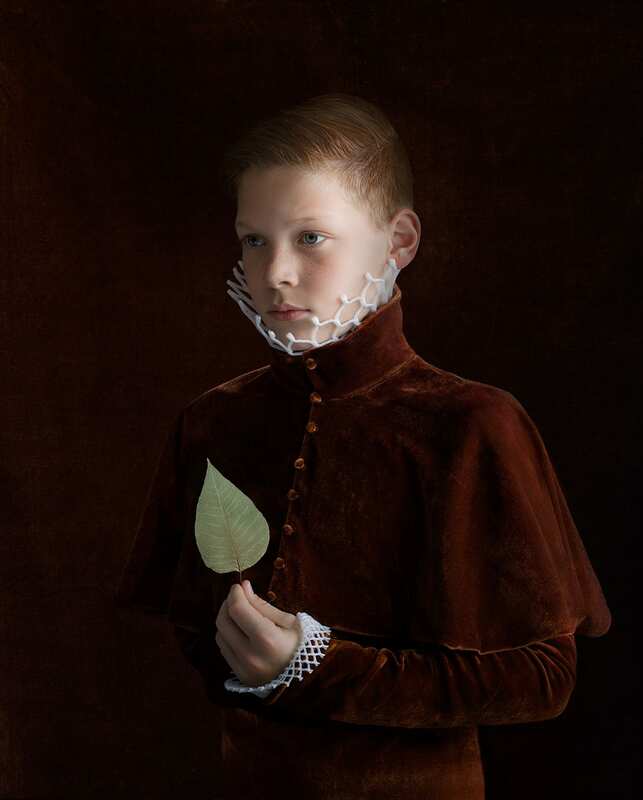 Related: Hendrik Kerstens Photographs His Daughter in The Style of Dutch Masters With a Cunning Twist. Polystyrene beads, as white and pure as pearls, embellish a headscarf. 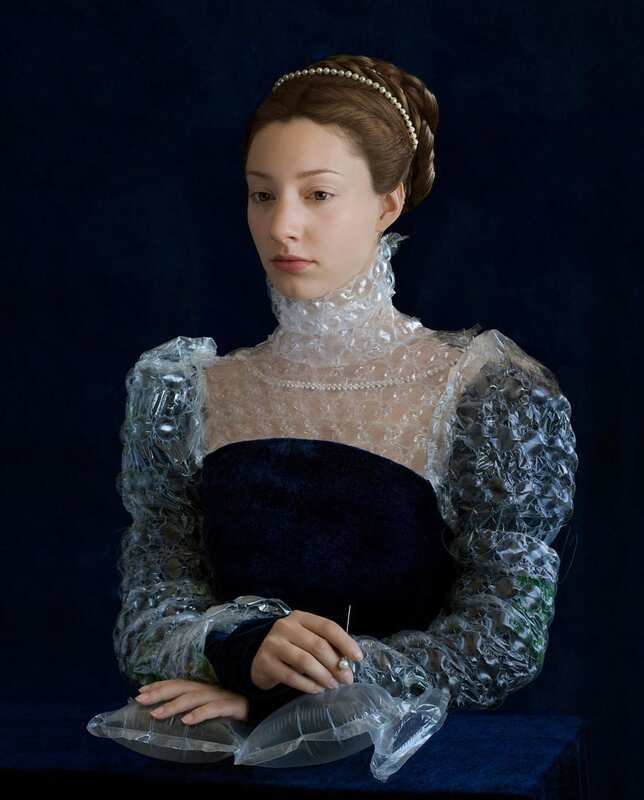 A sheet of bubble wrap tightens around a regal neck, producing a stiff Elizabethan collar atop an equally prim and proper bubble wrap dress. 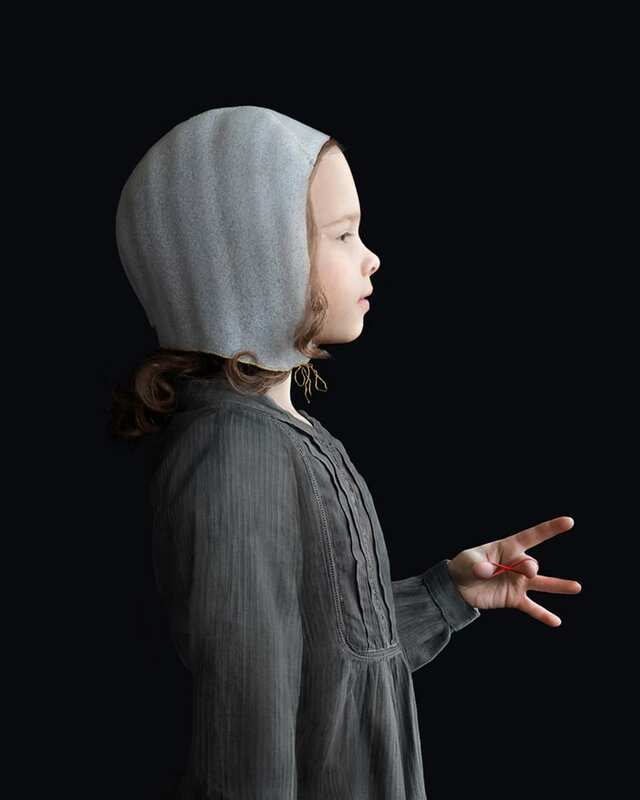 A young novice demurely looks towards the floor holding her hand to heart, her nun’s habit enfolding her. 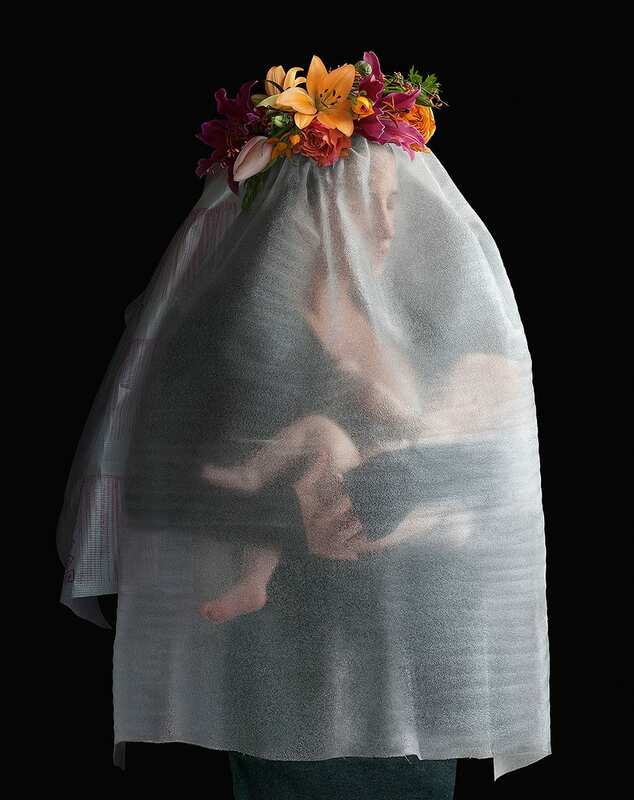 Her scapular and cowl made of nothing more than plastic packing material and long layers of foam sheeting. Jongmans is in many ways her own grandmaster. 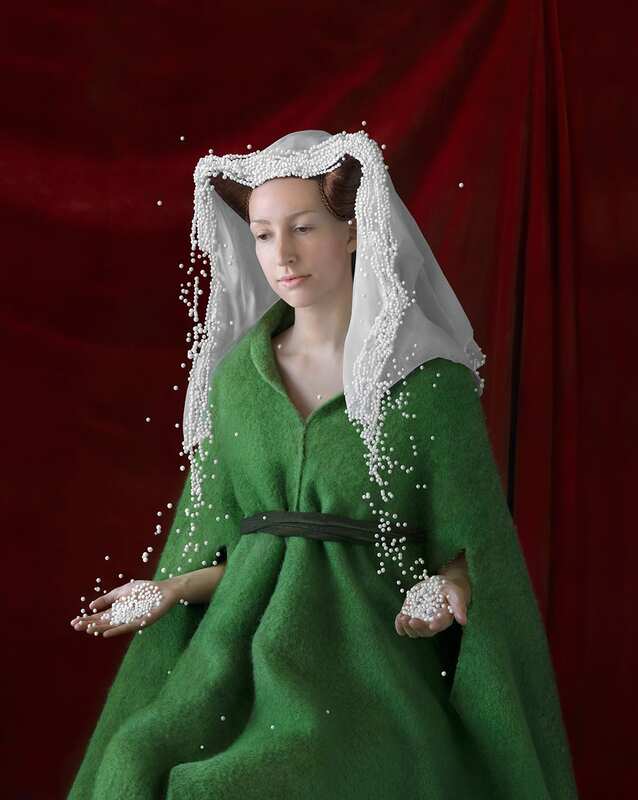 Take the way she crafts her subjects with foam. 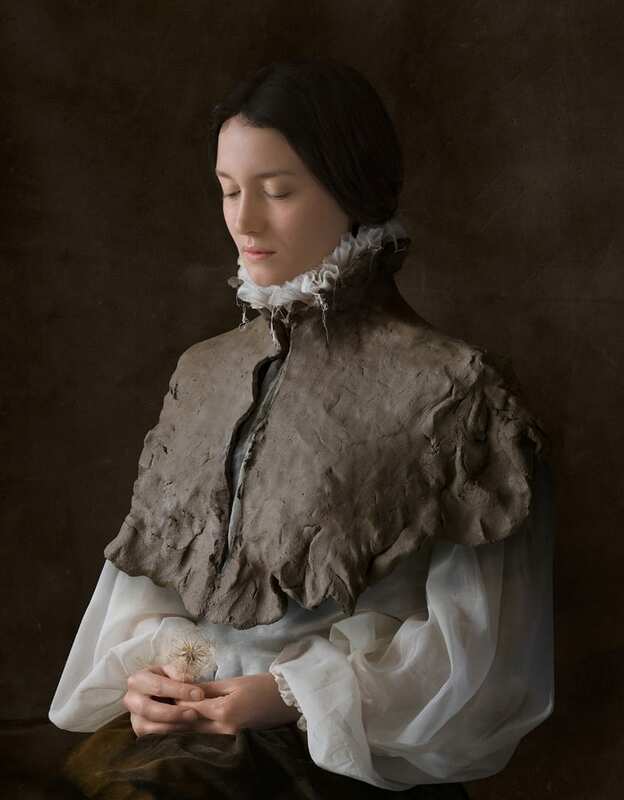 As she discovered the potential creative form of the material, she started sculpting with it, not unlike the masters before her crafting lifelike statues out of slabs of white marble. 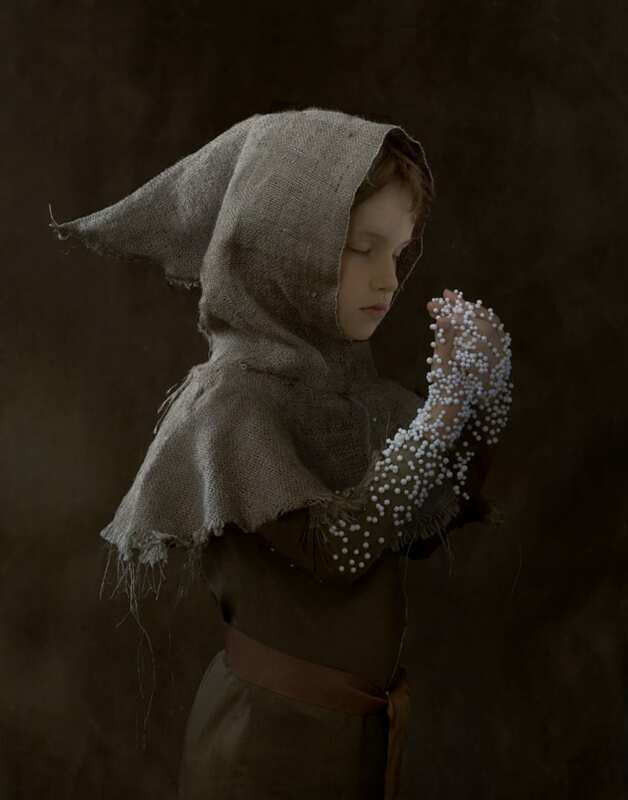 The traditions of sculpting and costume designs come together in her serene photographs. 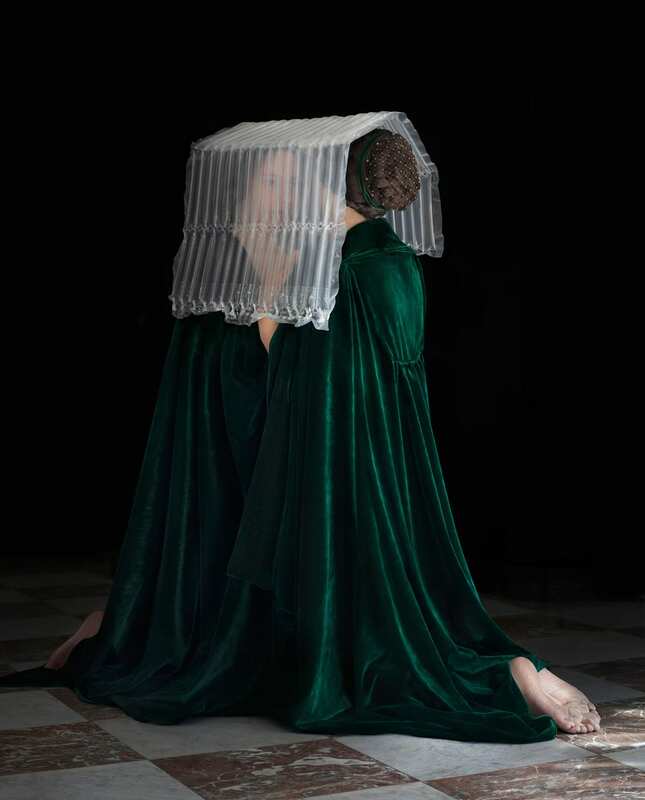 Her work is a paradox between the modern choice of material selection and the reference to the Renaissance portraits. She uses the same passion her mother and grandmother before her applied to the making of clothes, infusing her creations with attention and love. But moreover, her pieces are not merely creative expressions of refuge material. 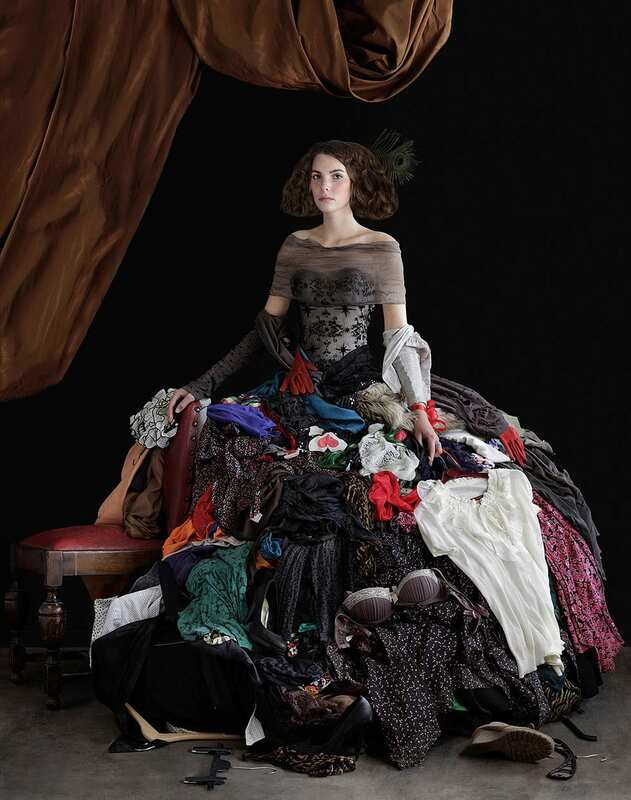 It is a statement about the mass consumption that grips our planet like a rampant addiction. 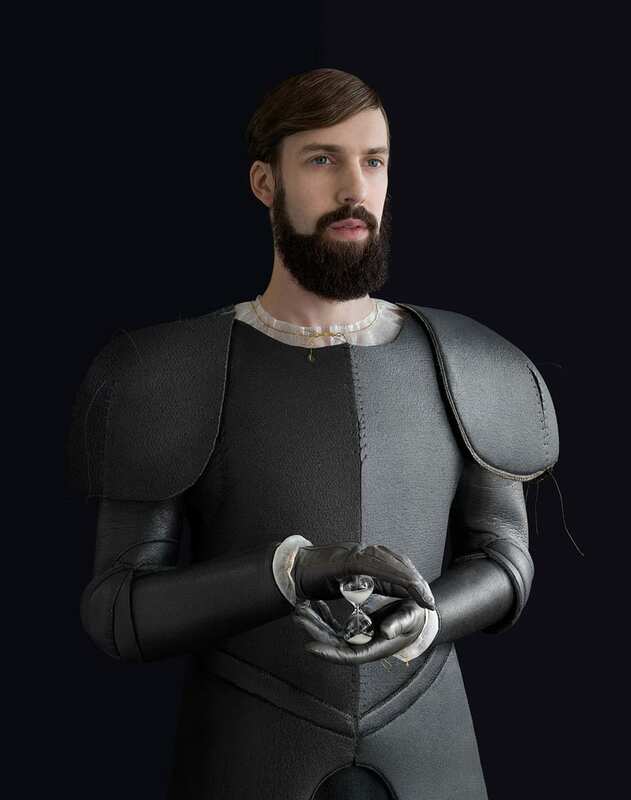 “Most people throw away foam rubber, but like a child, I see the diamond in a stone,” explains the artist.